You can also export all your current drivers (or just the ones that work ok) to a compressed file. After reinstalling Windows you will have everything in one place! 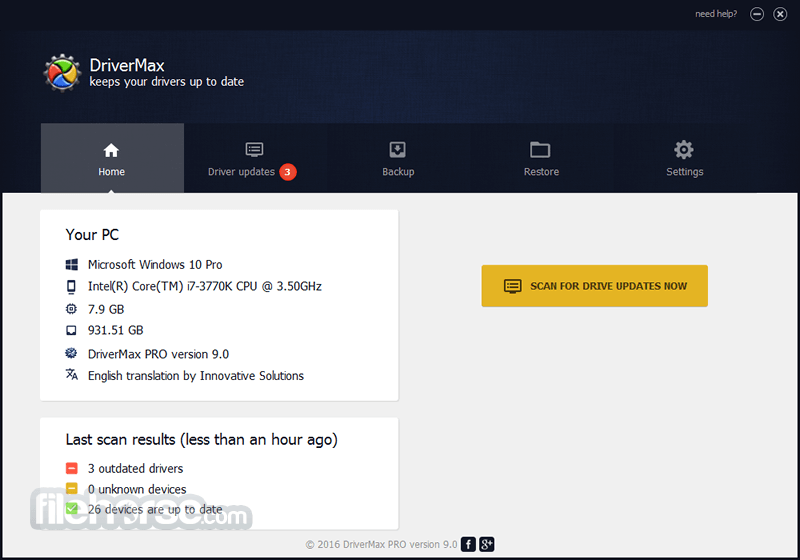 DriverMax 2019 is a fast driver updater that finds and downloads the Latest Driver Updates for your Windows PC. After reinstalling Windows all drivers will be back in place in less than 5 minutes - sparing you of searching, inserting disc after disk and losing precious time. 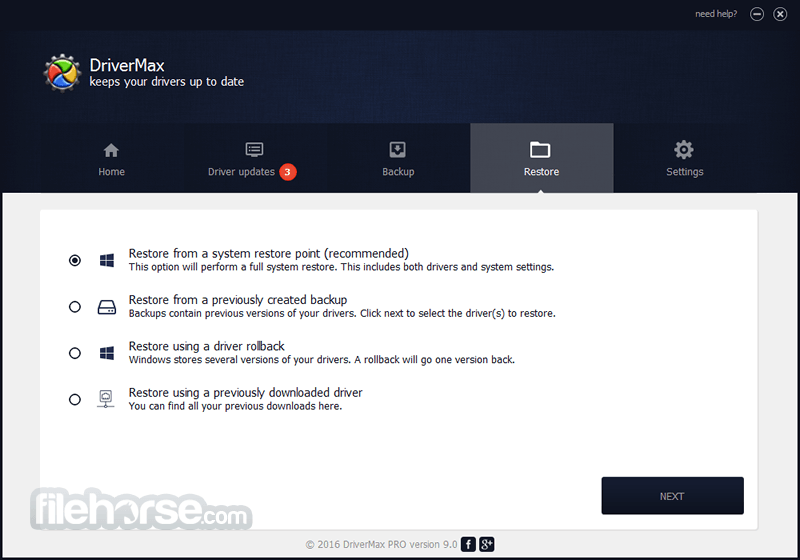 The Driver Restore option allows you to install all the drivers that you exported earlier. The entire operation might take up to 5-10 minutes. 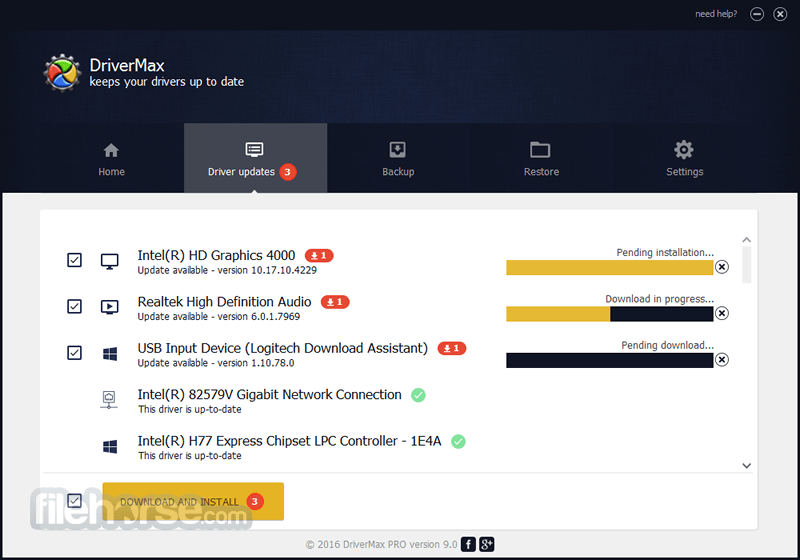 Just one single computer restart will be required after all drivers are reinstalled! 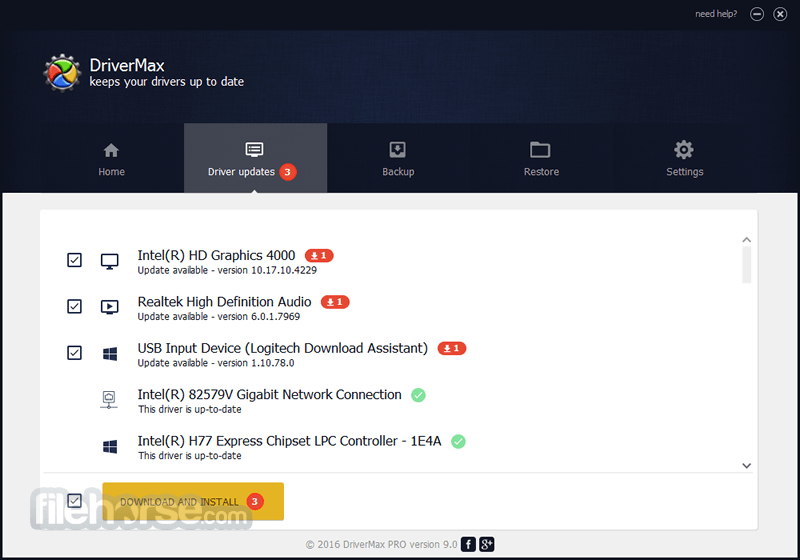 Note: Limitations of unregistered version are two drivers download limit per day, no simultaneous driver downloads, no download priority and no daily driver update check.